The Trans-Siberian Railway is the greatest train journey in the world and one of the quintessential travel experiences. Travelling for days across thousands of kilometres and several time zones, you�ll get to see the gradual change in landscape, peoples and cultures as you go from the edge of Europe to the heart of Asia. There are three main routes on the Trans-Siberian Railway. The original railway, started in the late 19th century under Tsar Alexander III, runs across Russia from Moscow to Vladivostok on its eastern Pacific coast. The Trans-Manchurian turns south before Vladivostok into north-eastern China on its way to Beijing via Harbin. However, the most interesting and popular route for travellers is the Trans-Mongolian Railway (often confusingly called the �Trans-Siberian�). This route, opened in 1956, diverts south at Ulan Ude just east of Lake Baikal and journeys through Mongolia and into China, finishing at Beijing. Organised group tours: Click here to see 2 tours to Trans-Siberian Express which may include Trans-Siberian Express. St. Petersburg is one of the most beautiful and dramatic cities in the world and a perfect start or finish point for the world's greatest rail journey. Design and construction of the city began in 1703 when Peter the Great sought to create a new European style capital by the Baltic Coast. Over the course of the century many architects worked to create a grand city of palaces and cathedrals over a network of canals and some 400 bridges, earning it the title 'Venice of the North'. 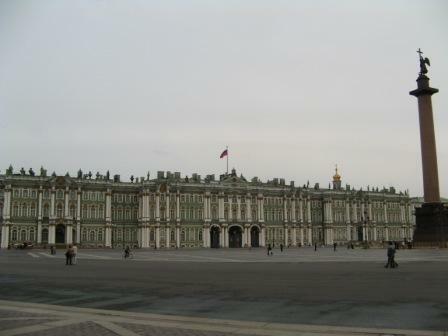 Of its numerous highlights, perhaps the most impressive is the Hermitage art museum, housed in the enormous and spectacular Winter Palace. The 1,000 rooms of the palace are as impressive as the art they house, with a dizzying 150,000 items on display. St. Isaac's Cathedral offers superb views of the city from its colonnade while Nevsky Prospekt, the city's main thoroughfare, has many historic buildings and interesting shops. Outside the city, Peter the Great's summer palace Petrodvorets, built to rival Versailles, displays the opulence of the imperial court. St. Petersburg has long been the home of artists, intellectuals and liberal thinkers. It was the site of revolution in 1917 and today is the centre of Russia's alternative culture. 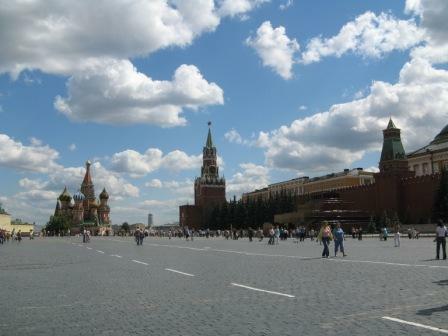 Russia's political and spiritual capital is a vast city with a rich cultural and historical legacy. An exploration of Moscow must begin at the famous Red Square, home to Lenin's mausoleum and the unmistakeable and beautiful colourful onion domes of St. Basil's Cathedral, Ivan the Terrible's 16th century church. Moscow's Kremlin is a must-see - this fortress was built between the 14th and 17th centuries and contains cathedrals, palaces and museums like the Armoury, a collection of the Tsar's treasures including the famous Faberge Eggs. The Moscow metro is not only useful for getting around the city but many of the ornately decorated stations are attractions in themselves. The Weekend Market in Izmaylovsky Park is excellent for souvenir shopping, while for a more upmarket option, try the GUM department store. The cultural options at night are endless - from clubs to the circus and opera or ballet, including the world famous Bolshoi Theatre. The town of Vladimir is close to Moscow and is one of the 'Golden Ring' of ancient Russian capitals. There are a number of important historical monuments here, including the Cathedral of the Assumption (1158), the Golden Gate (1164) and the Cathedral of St. Demetrius (1194) with its 1,000 stone carvings of King David. The nearby Suzdal is a beautiful small town filled with cathedrals and churches and old wooden buildings along its narrow streets. Kazan is the capital of Tatarstan and is most famous for the Kazan Kremlin complex of buildings. This dates from the Muslim period of the Kazan Khanate and was conquered by Ivan the Terrible in 1552. The historic buildings in the Kremlin today date from the 16th to the 19th centuries and it is the only surviving Tatar fortress in Russia. An important place of pilgrimage, this is one of the less visited stops of the Trans-Siberian journey, but the town is an interesting melting pot of cultures and the view of the Kremlin by night is spectacular. There's no particular reason to make a stop at the industrial city of Perm, but it is the base for exploring the nearby Kungur ice caves - 6km of passages that connect 100 grottoes and 60 lakes and filled with ice stalagmites and stalactites and frozen waterfalls. Ekaterinburg is the capital city of the Urals, founded by Peter the Great in 1723 as a gateway to the mineral riches of the Urals and now a major staging post on the Trans-Siberian. It is most famous for being the site of the murder of the last Tsar, Nicholas II, and the Romanovs in 1918. An impressive new cathedral, the Cathedral of Spilt Blood, has been built on the site where they lived their last months. In the forest where they were buried, a monastery and six traditional wooden churches have been built around the graves, now a Russian Orthodox pilgrimage site. Aside from all that history, Ekaterinburg is a laid back city with a good cafe culture that makes an ideal spot to break the Moscow to Irkutsk leg of the journey. Also, close to Ekaterinburg lies a white obelisk monument which marks the border between Europe and Asia, giving you a chance to stand on two continents simultaneously. Omsk is Siberia's second city and was founded in 1716 as a place of exile for criminals and political prisoners. Its most famous resident of that time was the writer Fyodor Dostoyevsky who spent four years of hard labour here and recounted his experiences in his book 'Buried Alive in Siberia'. You can learn about this history at the Literature Museum and the History Museum. Novosibirsk is Russia's third largest city and the largest in Siberia. Built on the River Ob, its attractions include the silver domed Opera and Ballet Theatre, the largest in Russia, the cathedral and the old houses by the river. 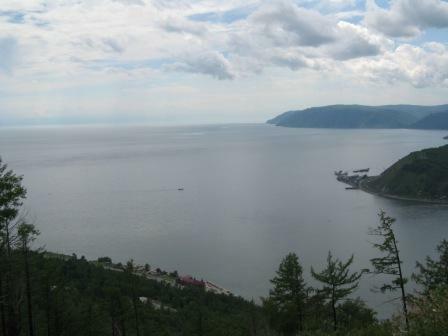 After three nights on the train from Moscow, the city of Irkutsk near Lake Baikal is a welcome stop. Many will head straight to the lake 65km away but it's worth spending a little time exploring the city. Founded over 300 years ago, Irkutsk has become an important commercial and administrative centre. It was also a place of exile, most famously for the Decembrists, 19th century aristocratic revolutionaries who tried to overthrow the Tsar. Some of the old homes of these exiles still exist, including the House Museum of Mariya Volkonskaya, one of the Decembrists wives who followed him into exile. The rest of the town is an interesting mix of traditional Siberian wood cottages and Soviet style buildings and monuments. Ulan Ude is the point on the Trans-Siberian Railway where it splits between continuing east towards Vladivostok and turning south into Mongolia. Ulan Ude is the capital of the Buryat Republic, the Buryat being the largest ethnic minority in Russia, and is the centre of Buddhism in Russia. 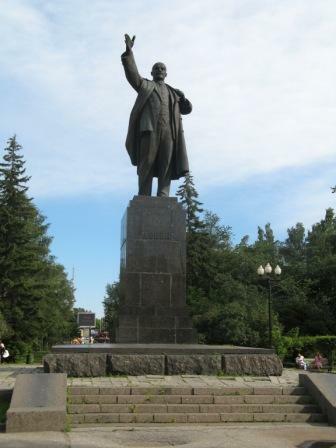 The city is an interesting mix of European and Asian influences and its attractions include the Ivolginsk Datsan Monastery and Soviet Square with a huge bust of Lenin. Vladivostok on Russia's east coast is the final destination of the original Trans-Siberian Railway route. The port city was home to the Soviet Pacific Fleet and strictly off limits to foreigners and most Russians during the Communist era. It's an attractive city of bays and islands surrounded by mountain peaks and a nice place to wind down after several days on the train. Some activities to do in the city include a trip to Vladivostok Fortress and a cruise around the harbour.